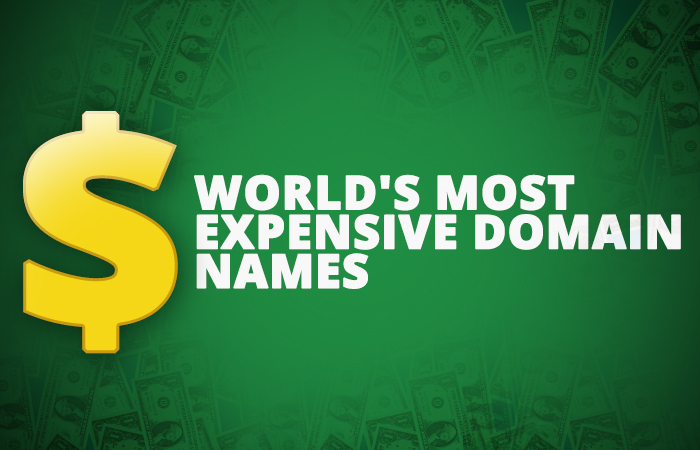 World’s Most Expensive Domain Names. Few years back, for people outside the technical community, the term “Domain name” was something strange. With the internet’s global expansion, today many people are aware that domain names help users to direct traffic, locate websites, and establish an online identity. The origin of domain name dates back to the ARPANET era, that time before the beginning of today’s commercial internet. In the early days, every computer on the network retrieved the hosts file from a computer at SRI which mapped computer host names to numerical addresses. To maintain a centrally organized host name registry became difficult with the expansion of the network, so in 1983 the Domain Name System was introduced on the ARPANET and got published by the Internet Engineering Task Force as RFC 882 and RFC 883. Domain name was created to make IP or internet protocol addresses more human friendly. An IP address is a unique set of numbers that is assigned for every computer on the internet. The DNS transforms the IP addresses into unique alphanumeric addresses called domain names. The DNS makes it much easier for the users to remember the websites and email addresses. Today, we have finally entered the stage where in business everything starts with a domain name. It has become very important for business because they realize its future value. They have finally figured out that domain name is the subject right now. In today’s tech-centric world, domain names have become really popular. The investors invest in domain names in order to sell them for profit in future. Following is the list of most expensive domain names with the relevant price as they were sold. The most expensive sale was of VacationRentals.com in 2007 for $35 m. it is a platform that enables you to sell your products and services around the world. It was expected to be the most expensive sale of all times but was sold for $5m or so. In 2012, PrivateJet.com it was sold for $30.18m. In 2001, this domain name was purchased for around $11m but the new owner was unable to tell the exact price he actually paid which he confessed in a BBC interview. Fund.com is a website for financial services company and is not much familiar as compared to the other sites. In 2008, it was sold for $9.99m because it was not interesting as the others. Business.com also falls under the expensive domain name sales and reached a price of $7.5 million. This is now used as the domain for Facebook employee email addresses as “@facebook.com” which is available to the public. In 2010, Facebook purchased it for $8.5 million. In March 2009, the domain name Toys.com was taken by the children’s toy vendor ToysRus for $5.1 million. This domain name on the list and was purchased for $5 million in January 2000. The domain name SEO.com was purchased by a venture capitalists firm, WashingtonVC in 2007 for $5 million. It is also another expensive domain name and reached a height of insubstantial $7.5 million asking price. Previous article Mobile Apps Take Over Web In 2016. Next article World’s Most Popular Blogs.